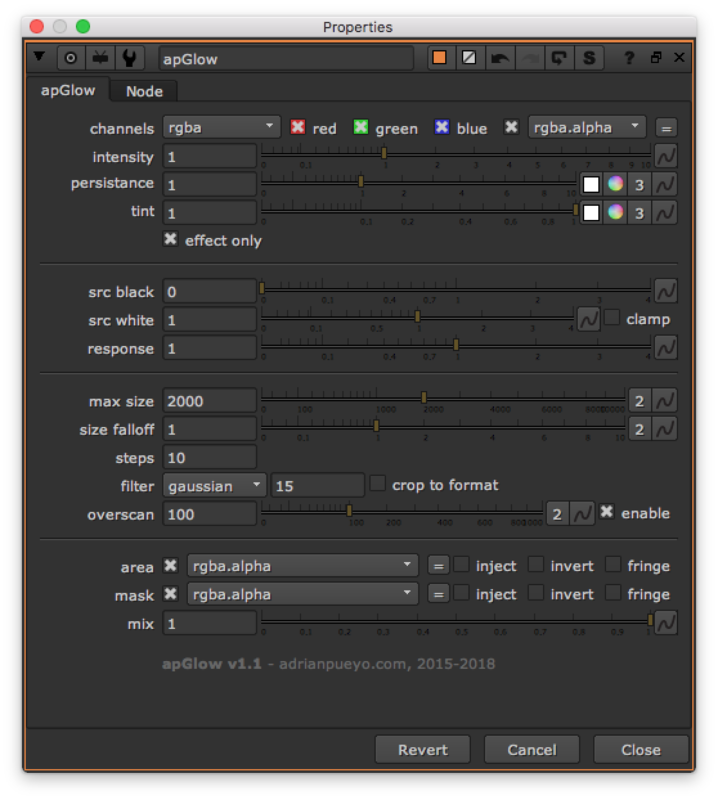 apGlow is a lightweight exponential glow effect with advanced control over the steps, falloff, distribution, color and other useful parameters. Channels selection added, which now defaults to rgba - good for diffusions too. 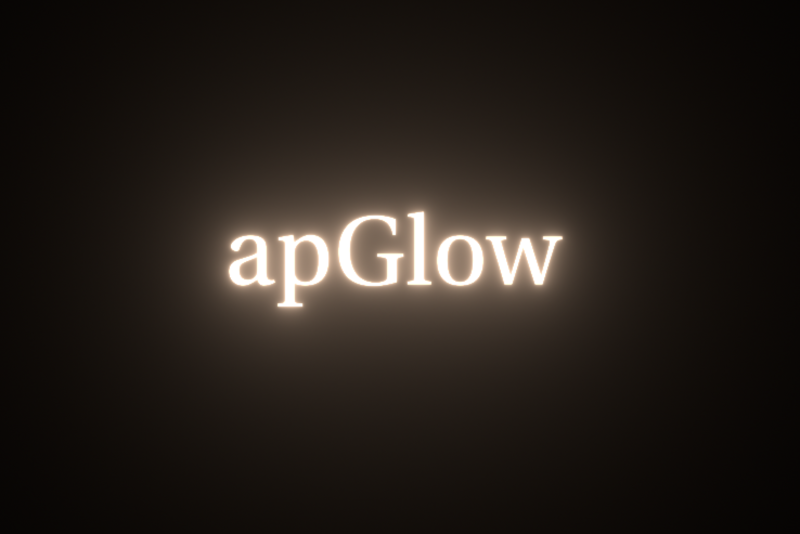 Extra 'area' input added to optionally mask the glow source to an area. Fixes nan's (on rgba only). This is awesome. Super smart way of iterating the blur too! The response slider has to be my favourite part though - I was always doing my expoglow after a luma keyer + grade(alpha) + premult and adjusting the gamma, so this is a nice node saver. Thanks! Thanks Peter, glad you find it useful!